Chaudiere falls in the early 1800s, with an empty Lebreton flats in the background. - Toronto Reference Library JRR1405. 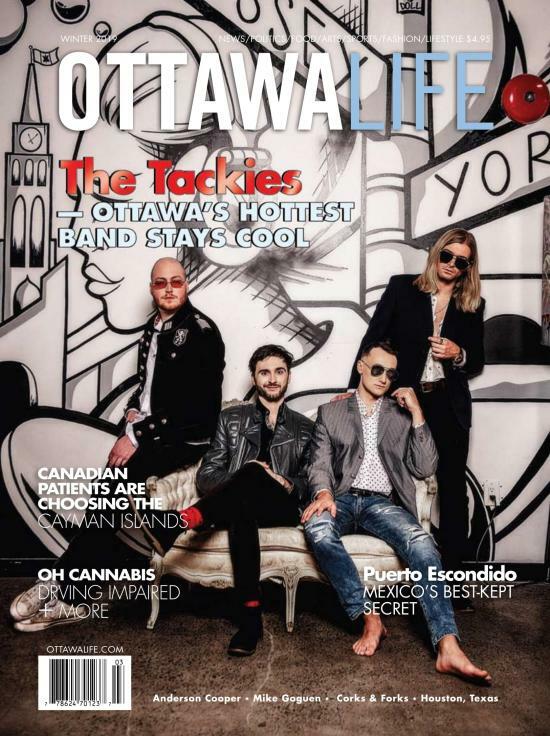 Most of us know LeBreton flats as that big, ugly, empty piece of land right next to downtown, where we go for Bluesfest. It hasn't always been so empty, in fact, the story of the flats is an ugly one, headlined by scandal, fire and government expropriation. A much less-empty Lebreton flats, seen from the West Block, in 1878. - Library and Archives Canada PA-008354. The history of the flats started in scandal. 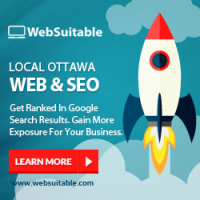 At least its 'official' history did, as related to the history of Bytown and the city of Ottawa. Before that, the flats were a campground for the Indigenous people who roamed the river. 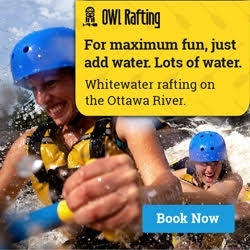 It wasn't just the Algonquin who traveled on the Ottawa River; it was used by all of the Indigenous groups living in the area, including: Huron, Odawa, Ojibwa, Iroquois, and many more. They would stop to perform sacred ceremonies at the Chaudière falls and often stayed the night. The flats were one of the most convenient places to set up camp. 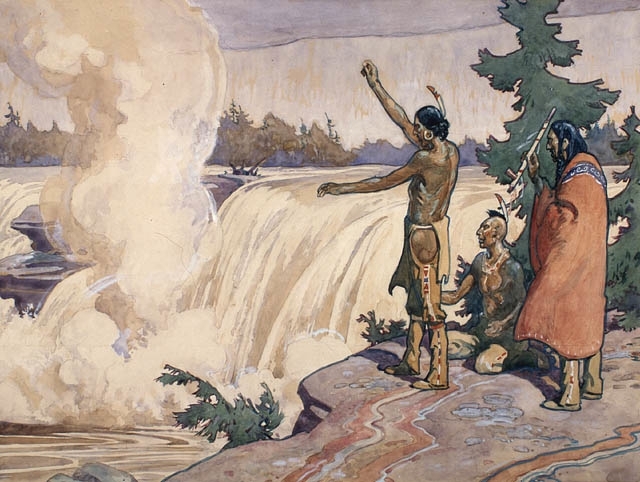 A group of Algonquins perform the Petun ceremony at the Chaudière falls in this 1930 oil painting, by Charles William Jefferys. - Library and Archives Canada C-6090. 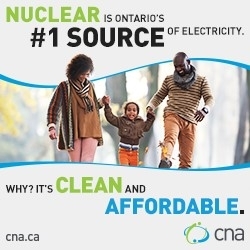 European settlers started to arrive in the early 19th century, and it didn't take long for someone to realize the industrial value of the land sitting next to the powerful falls. Robert Randall was a Loyalist, originally from Maryland, who had moved north of the border after the United States won their war of independence. He was an industrialist, and in 1809 he bought 'Lot 40', the piece of land we now know as Lebreton flats, with plans to harness the Chaudière falls for milling. Randall was way ahead of his time. It wasn't until the 1850s that other industrialists clued in and large-scale milling on the falls began. Unfortunately for Randall, his financial backers in Montreal and England went bankrupt shortly after he bought the land, and he ended up in a debtor's prison. His land, Lot 40, sat empty and unused for the next decade. 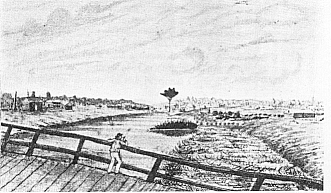 While Robert Randall sat in a Montreal prison, the War of 1812 was fought, leading to plans being made for a military canal to connect the Lower St. Laurence with the Ottawa River. In 1816, Cpt. 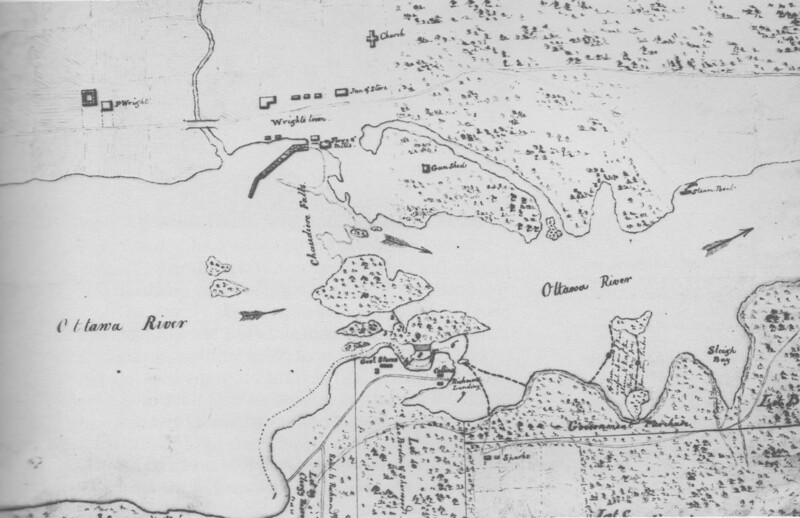 Joshua Jebb made the first official survey between Kingston and the Ottawa River and concluded that a canal was possible. 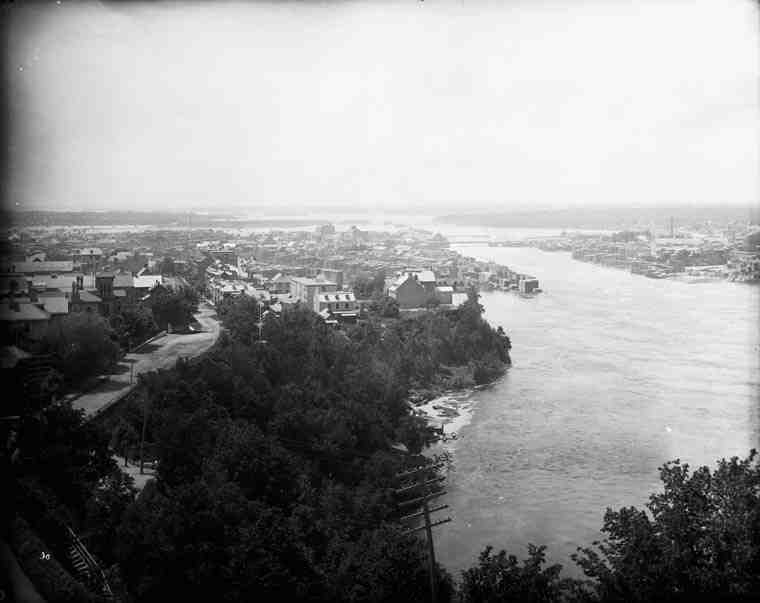 Before the canal could be built, improvements had to be made to the Ottawa River, to make it navigable up to the Chaudière falls. As soon as this work began, starting in 1818, it became obvious to anyone who was paying attention that the canal was going to be built somewhere near Chaudière. Portrait of George Ramsay, the 9th earl of Dalhousie and Governor-General of British North America from 1820-1828. - Toronto Reference Library T-31639. 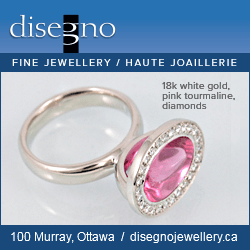 In 1820, George Ramsay, the earl of Dalhousie, was appointed as the Governor-in-Chief of the Canadian territories. He took a tour of Upper Canada, including the Ottawa River, and while there he took note of the terrain, with the future-canal in mind. The same night, he attended an officer's dinner at the Richmond military settlement. The officers complained to him that they needed storehouses at Chaudière. Up to that point, all cargo going to and from Montreal was just left in the open, exposed to the elements and to thieves. Dalhousie agreed about the storehouses and instructed his secretary to locate the owner of Lot 40 (still Robert Randall) and buy the land. He probably also had the canal in mind at that point, and was already thinking of making the entrance there. He announced his plans to buy Lot 40 openly, in front of all of the officers in attendance. One of those officers was Capt. John LeBreton. Capt. LeBreton had been born in England, but raised in Newfoundland, and became a Lieutenant in the Royal Newfoundland Regiment. Later, he moved to Quebec City and during the War of 1812 he served with distinction, taking command of the Voltigeurs Canadiens militia battalion. In 1816 he was promoted to Captain. After the War of 1812, LeBreton petitioned the government of Upper Canada for land. His petition was granted, and in 1819 Cpt. LeBreton moved to what was simply known as Nepean Township at the time. Bytown didn't exist yet. His land was near Britannia Bay, and he built a house and mills there. He wasn't far from the Richmond military settlement and probably visited it regularly considering his position as a military captain. After Lord Dalhousie's visit to the Richmond settlement, his agents in Nepean Township had a hard time tracking down the owner of Lot 40, Robert Randall. Richmond settlement around 1830. 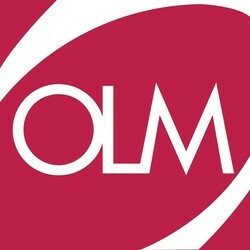 - Library and Archives Canada. Capt. LeBreton had a little more luck. 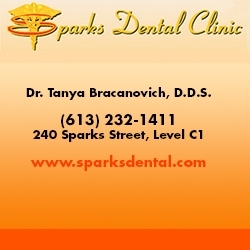 In 1820, he found out that the land was being sold at a sheriff's sale in Brockville and made his way there to purchase the lot. By this time, Robert Randall had been released from prison, but was engaged in more legal battles, suing the government for damages incurred during his time in prison. At the time, the government of Upper Canada was under the control of the infamous 'Family Compact', and Randall was playing against a stacked deck. He ended up being forced to sell his precious 'Lot 40' to cover his never-ending legal costs. LeBreton needed financing to afford the land, so he convinced Livius Sherwood, a lawyer from Brockville, to join him as a partner. They bought the land for £499, and divided it in two. LeBreton took the west half and Sherwood took the east. Sometime shortly after the purchase, Capt. LeBreton made his way to Quebec City, where he offered to sell the land to Lord Dalhousie and the government for £3,000, knowing full well that they were looking to buy it. Lord Dalhousie was absolutely furious. LeBreton had gone behind his back to buy the land before he could, in a classic act of profiteering. His position as a military officer had given him valuable insight into the potential future value of the land and he had jumped on the opportunity. Dalhousie vowed that the government would never buy the land from him. In response, Dalhousie quietly bought a piece of land called the 'Fraser Parcel' for the government, to stop any further acts of profiteering, as rumors of the future canal continued to grow. A few years later, this parcel of land would be laid out and transformed into the new village of Bytown. Great map, drawn by Lord Dalhousie himself around 1824. It shows 'Lot 40', with the names Lebreton and Sherwood below. To the east of that is 'Lot C', owned by Nicholas Sparks. Just above Sparks' property it a lot marked as 'government purchase'. This was the land that Dalhousie had purchased for the government, and ended up becoming the village of Bytown. At the bottom left, you can see the 'Road to Richmond', and near the Chaudiere falls you can see two buildings, marked as 'Gov't Stores'. These were the storehouses that Dalhousie had agreed to build at the officers' dinner at Richmond- Library and Archives Canada C-16156. With Lord Dalhousie against him, Capt. LeBreton quickly became a persona non grata in official circles. In LeBreton's mind, he had actually done nothing wrong. He presented evidence that he had already been trying to purchase Lot 40 since 1818, well before Dalhousie's announcement. In 1827, LeBreton wrote a long letter to Dalhousie, pleading his innocence in the matter and the legality of his actions. Dalhousie did not forgive him. It didn't matter how 'legal' his actions had been, or what his previous intentions were. For Dalhousie, it was LeBreton's duty as a royal officer to help the government procure the land, regardless of his own personal ambitions. Dalhousie would carry his grudge against LeBreton to his grave. In fact, when LeBreton took over Lot 40 he started to charge rent to the few businesses already existing on his land. One was Isaac Firth, who had run a tavern there for years. Lord Dalhousie personally financed Firth's claim to Squatter's Rights. He paid Firth's legal bills out of his own pocket. He hated Capt. LeBreton with a passion. Over time, LeBreton and Sherwood divided their land into smaller lots and sold them off (at a huge profit). But they're still known as the LeBreton Flats and Sherwood heights to this day, which is somewhat surprising. The LeBreton flats are one of the very few examples of a name sticking to a place despite the actions of their namesake, rather than being named because of those actions. Somehow, Livius Sherwood managed to escape the whole scandal without suffering any damage to his reputation. Many of the lots that were sold off by Cpt. LeBreton and Livius Sherwood were bought up by players in the already-well-established lumber industry. Around the mid-19th century, the lumber industry in the Ottawa valley underwent a big shift from square timbers to sawn lumber boards. A series of sawmills were built at the Chaudière falls, and the Lebreton flats became a working class community, serving the lumber mills. 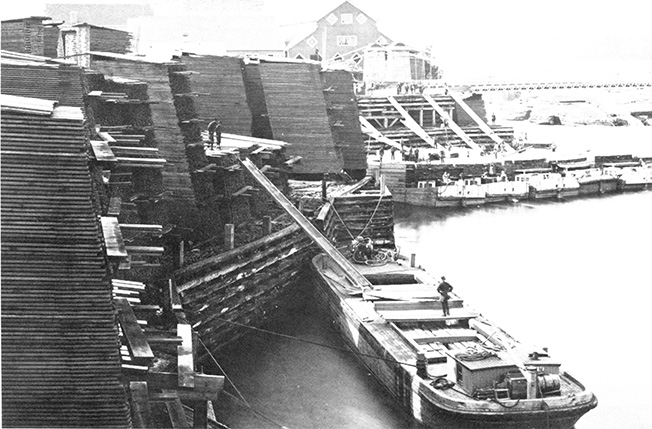 Workers loading boards of sawn lumber onto boats, with the Perley mill and Chaudiere falls in the background. - Library and Archives Canada. The area might have been the biggest lumber complex on the planet at its height, during the later-nineteenth century. The lots surrounding Chaudière all became lumber yards. Massive piles of boards were piled up to dry out. It was an accident waiting to happen. Around 10 a.m., on the morning of April 26th, 1900, a fire started in a house in the center of Hull. The roof caught fire and it carried over to the neighbour’s roof. This was really nothing out of the ordinary. Fires were pretty common. But as the wind started to pick up, things got out of control in a hurry. The northwest wind carried burning roof shingles, igniting a number of other buildings around Hull. Within an hour, most of downtown Hull was burning. The wind kept pushing the fire south until it reached the E.B. Eddy pulp and paper plant. 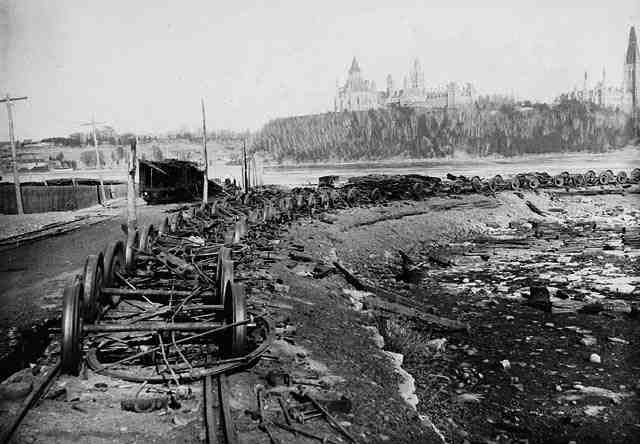 From there, the fire ignited the huge lumber piles and quickly spread across the Chaudière falls. By 1 p.m., the Bronson and Booth lumber yards, on the Ottawa side of Chaudière, were a giant bonfire. View of the fire from the Parliament buildings- Library and Archives Canada C-002891. The Lebreton flats and surrounding areas were all evacuated. All of the cities' firefighters and equipment were rushed to Lebreton. All of the military regiments were called on to help as well. Telegraphs were sent to Montreal, Toronto, Brockville, Smiths Falls, and Peterborough. Only Montreal was really in a position to help, and they sent two detachments of firefighters, who arrived around 5 p.m.
Around nightfall, the wind dropped and by midnight the fire had mostly burned itself out. 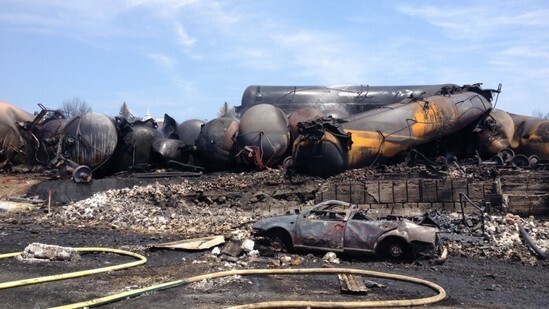 The entire area from Chaudière to Carling Ave. (an area of about 440 acres) was completely destroyed. The only thing that stopped the fire from destroying the rest of the city were the high limestone escarpments just east of the flats. That, and a whole lot of luck. Lebreton flats the next morning. No more lumber piles.- Library and Archives Canada PA-121784. Seven people were killed in the fire. Another 15,000 were left homeless. Over 3,000 buildings were destroyed between Ottawa and Hull, and the damages were estimated at over $10 million. All that remained were piles of rubble and some melted steel. None - Library and Archives Canada PA-028177. Before the fire, a lot of prominent Ottawa residents had built their homes around LeBreton flats. Afterwards, most people were scared that the fire would happen again. Most of the more privileged residents relocated to Sandy Hill. Some homes were rebuilt at LeBreton, for the mill workers who couldn't afford to live elsewhere. But LeBreton mostly became an industrial area after the fire. 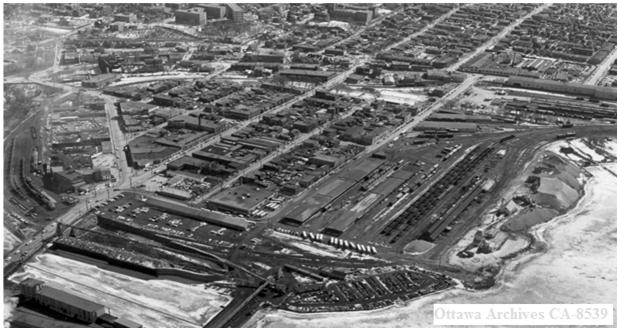 The LeBreton flats continued on as an industrial area for the next 60 or so years, with very little change. Aerial view of the flats in 1960, a couple of years before being cleared - Ottawa Archives CA-8539. In 1962, the Diefenbaker government decided to clear the land. A lot of people viewed the flats an industrial slum that was unbefitting of the nation's capital. Diefenbaker wanted to use the land for new freeways, as well as the site of a new defence headquarters. A picture of the proposed defence headquarters at Lebreton. - Toronto Star, June 2, 1966. In April 1962, the 2,800 or so residents of LeBreton received notice of the government expropriation. The last building was torn down around the end of 1966. 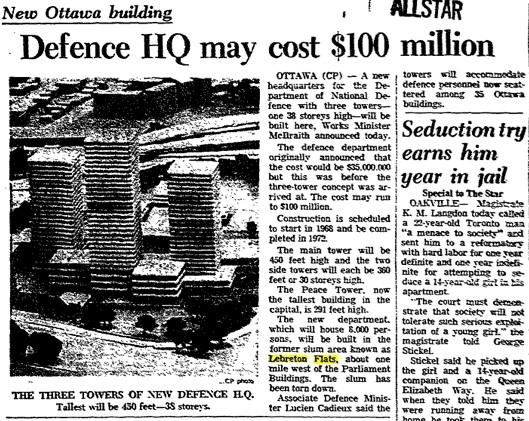 The goal was to complete the new defence headquarters in time for Canada's centennial, in 1967. As soon as the government took control of the land it fell under the authority of the NCC, who administer all federally owned land and buildings in the National Capital Region. The plans for the new defence headquarters didn't come to fruition, when the three-way negotiations between the NCC and the regional and municipal governments (who owned the roadways) fell through. Over the years, new plans for LeBreton came and went. More government buildings, housing projects, a giant incinerator, and an aquarium were among the ideas. But, none of them worked out, and the land has mostly been sitting empty for over 50 years. Now, the land is being redeveloped, for the first time since it was rebuilt after the Great Fire of 1900. A new chapter is finally being written in the story of LeBreton flats. Hopefully this one won't be so ugly. You can find more writing by Philip Charlebois on his blog, "Ottawa Hockey History." Also, check it out on Facebook! 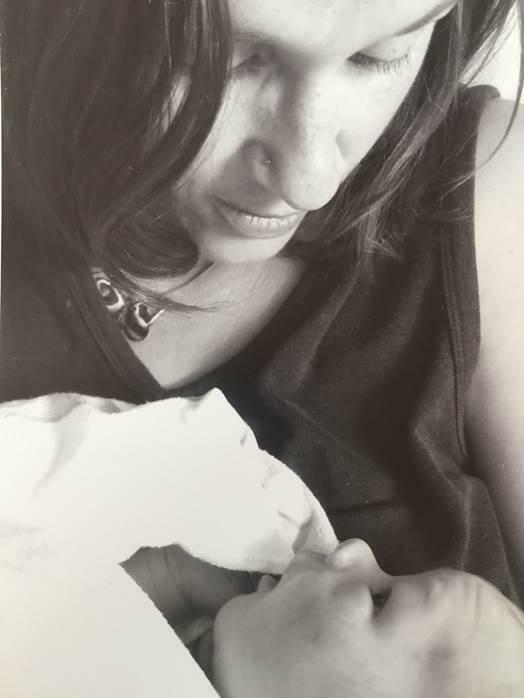 Like many women, Melanie Davis fell in love the minute she laid eyes on her first born. 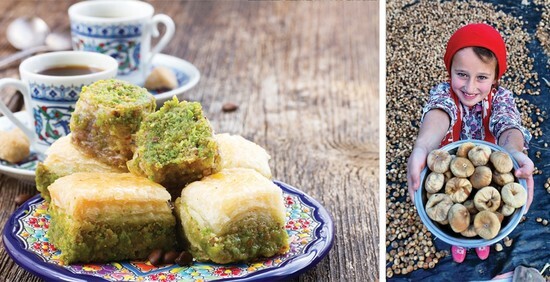 When she became pregnant with her second child, she expected everything would be the same. But shortly after giving birth to her daughter, she was struck by a mysterious illness that threw her family into crisis.